"I want to one day open a juice bar in my area. I see that you make juice for people and I"m thinking that I can do that in the meantime. How'd you get the word out?" "How much should I charge my customers for juice and delivery?" "I could really use some tips on starting up a juice delivery business. I want to start a very small delivery system in my are, but I'm still in the planning phase. Where would I start?" "I have rented a commercial kitchen, bought a couple juicers and ordered a supply of bottles. How can I grow my business?" These are all questions I receive thru social media and by email consistently. If you have questions and are interested in starting your own juice delivery or store front juice bar location set up your Juice Talks With Johanna. During this 30 minute video call with Johanna you will present your juice business goals and what you've done up to this point. 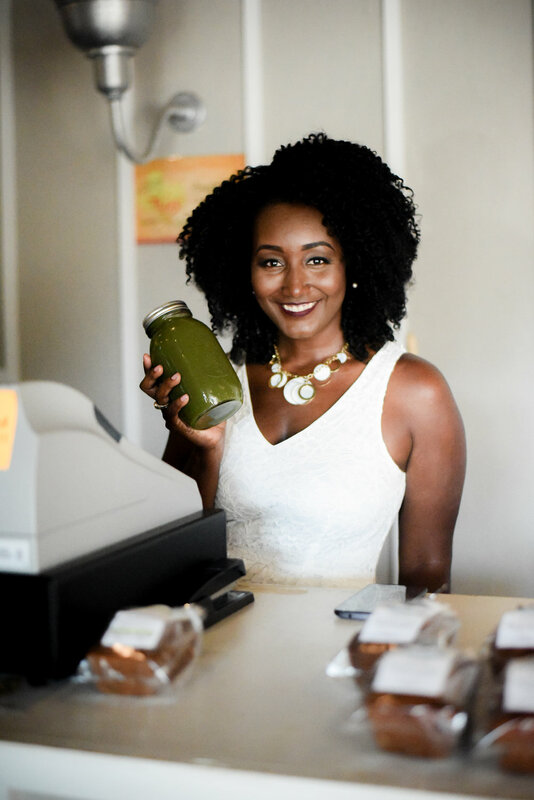 Based on where you are in your plan Johanna will provide the proven method that has taken her from juice delivery to owning a store front juice cafe in only 2 years. You are in the planning phase and want to make sure your idea makes sense and you're not trying to recreate the wheel. You already have an established juice business but want to grow your business or move from renting a commercial kitchen to having your own. You've found the perfect store front to rent, but have no idea where to start with gaining permits or how to decipher that lovely Plan Review application. If you have a passion for juicing, a desire to start your own business and want to share the gift it is to our bodies with everyone seeking a better way to be in health then schedule your Juice Talks With Johanna today! ***Once you purchase your Juice Talks With Johanna you will receive the link to schedule your session within 24 hours.